The real estate firm of Fults Commercial was founded in 2008 by its two principals Tracy Fults and Bob Buell. Their vision to grow a commercial real estate business based on a set of core values of honesty, hard work and attention to detail has proven successful. 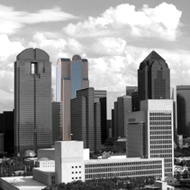 Both principals are natives of Dallas with powerful heritages in the commercial real estate business. They have decades of experience performing an array of brokerage services, including Landlord Prepresentation, Tenant Representation and Acquisition/Disposition Services. Their belief of providing "real time" market knowledge, enables their clients to make intelligent and informed decisions related to their real estate needs. Their client's success has in return provided Fults Commercial an impressive reputation of achieving results beyond expectation.